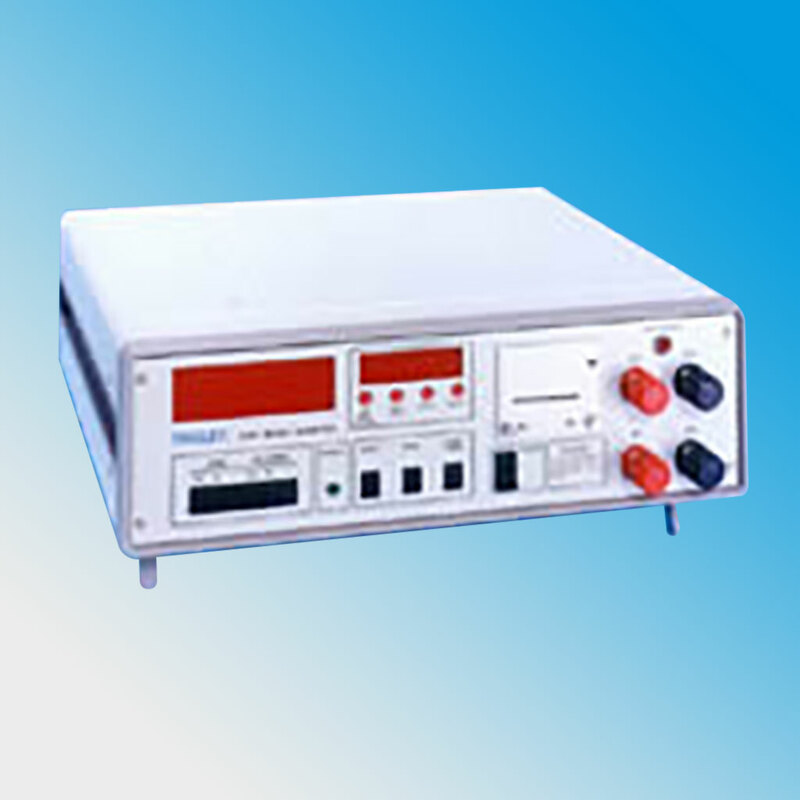 This Micro-Ohmmeter, Type 5895, has been specifically designed for the fast measurement of the resistance of large transformers. It is equally suitable for the measurement of any resistance where a large amount of inductance is also present. An integral timer and printer are also incorporated to enable precise readings to be recorded at exact and programmed time intervals. Whilst being practical in use the instrument also has safety features to protect both the operator and the instrument from the hazards associated with this type of measurement. This instrument is suitable for the resistance measurement requirement of BS171 Part 2 or Part 1 IEC 76-5.